Tell me if you share my problem: You have a toddler/small children at home, but running around and chasing after them all day isn’t the exercise you’re looking for. 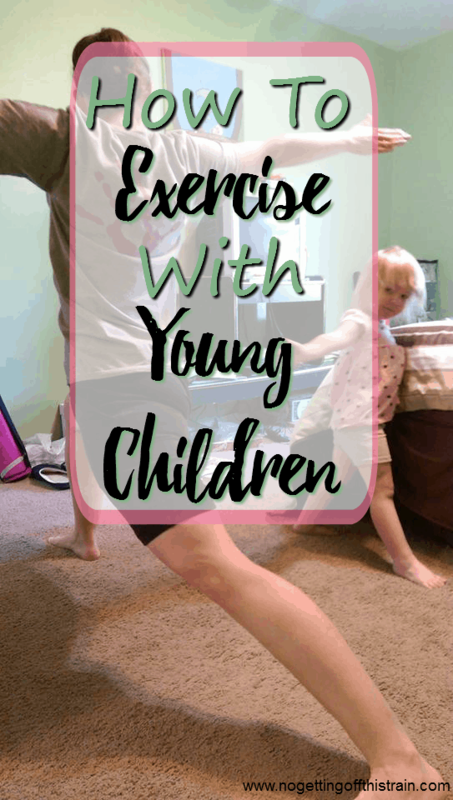 It’s so hard to exercise with young children, but I have a few tips that will hopefully help. Exercise while the kids sleep. Notice how I didn’t say you needed to wake up early, although it’s something I totally recommend. You can work out in the early morning, during naptime, or wait until after they go to bed at night. As long as you pick one of these, you’re (hopefully) guaranteed to get in some uninterrupted exercise time. I’ve said many times before that I’m an early riser. Like, a 4:00 AM early riser. Because Allison wakes up anywhere between 6:00 and 7:00 every morning, I need to use my time the best I can, so my workouts are done in the early morning so I can shower and be ready for the morning chaos. Plus, it’s already done and out of the way, so I already feel accomplished for the day! 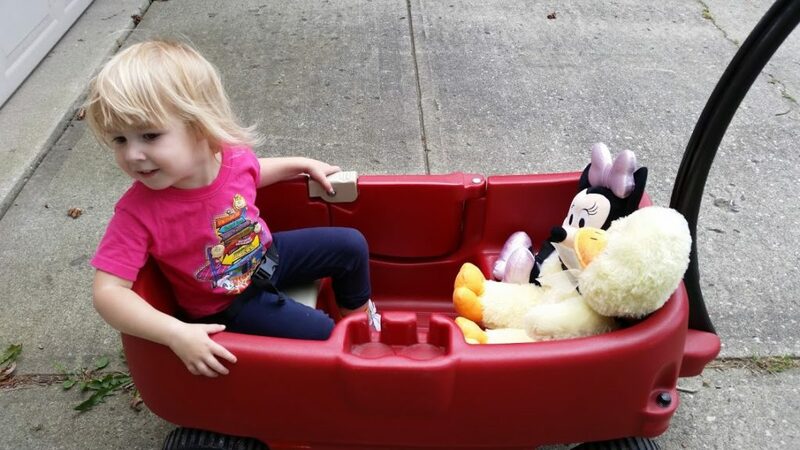 If your form of exercise is walking, pull out your stroller or wagon and get moving! When Allison was younger, like less than a year old, I’d put her in the stroller and walk around the block. It was 20 minutes of blissful silence, she got some fresh air, and I got some exercise in! 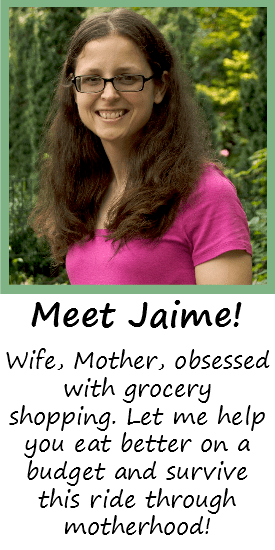 I never owned a running stroller, but I’ve heard amazing things. If I had started running when Allison was a baby, I totally would have looked into getting one. Nowadays, I use our wagon to tote Allison around. We have a park just down the street, so when she wants to go, I load her up and walk for the 10 minutes it takes to get there. It’s great exercise, especially because the wagon’s a bit heavy, and my arms get a great workout from pulling it. Play a dancing video game. If you have a Nintendo Wii or the XBOX Kinect, you can get your kids involved by playing a dancing game. I have Just Dance for the XBOX 360, and sometimes when I can’t get outside to walk, I’ll put it in and we’ll just start dancing. Well, Allie starts out dancing, then stands under my feet and just watches. At least we’re moving, right? If you do yoga or any other exercise that makes you do different moves, have your kids help you practice. One morning I was showing John some of the PiYo moves, and Allison decided she was going to join me. We started out with Downward Dog, then got into some of the Warrior poses. Then for the next couple days, she told me to take off my socks so we could exercise again.